Ever wish your car could heat itself up on a cold morning? APIs are the answer. I LOVE the idea of using my phone to get my car to drive itself out of the garage, heated up. Who wouldn’t want the smartphone that we already know and love have the power to ensure we never again have to shiver in a cold car? Or, for that matter, come back to a dark house? Or worry whether we forgot to lock the front door? To be sure, proliferating connected devices raises the question of how—or even if—they will be able to work together easily and seamlessly. Today connecting different devices from different companies can be hard even for experts. 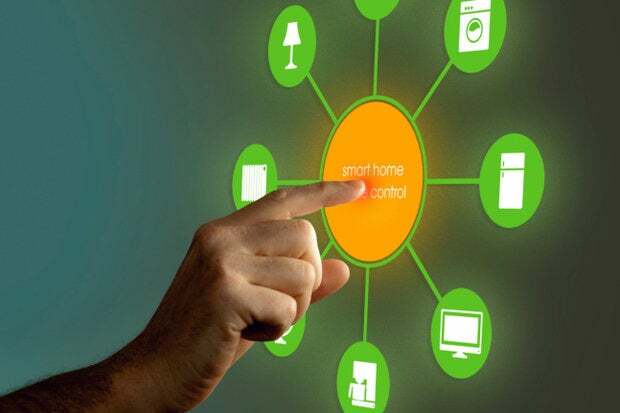 Yet despite this, 70 percent of people with smart home technology said buying their first smart home product made them more likely to buy another one according to a survey conducted by Coldwell Banker Real Estate. The reason why lies in our third word: APIs (application programming interfaces). Maybe (or maybe not, but hopefully) standards will emerge that make it easy to connect and manage every IoT device in your home “as if” it were from the same company. But right now no company needs to wait in order to make delightful IoT experiences possible now through a smartphone app. In my experience, the single connection an IoT device needs in order to delight a consumer is to a great smartphone app. That in itself—regardless of whether different devices can easily “talk to each other” or not—is enough to win people over to the IoT. Because great smartphone apps are built using modern web APIs, there is a flywheel effect generated as each company acts in its own immediate interest to build an app for their device. In so doing, they are creating the interfaces that make additional third-party interconnections possible. As there are more and more APIs available for more and more devices, the business logic of actively participating in the ecosystem becomes a no-brainer. Who wouldn’t like an app that can adjust the thermostat based on how far your Uber is from your house? Uber has made scenarios like this possible for third-party developers through what it calls its “Trip Experiences API.” Now not only manufacturers like Nest or Honeywell can create that sort of experience—anyone with access to their open APIs can too. Marrying a device with its own great first-party app to open APIs enables others to extend its relevance in ways you might not have thought of yourself. It was an end-user who took Amazon’s click-to-buy Dash Button and hacked it in order to summon an Uber for his daily commute. Two companies that employ some of the top technical talent in the world benefited from API-powered innovation by a customer. In every company in every industry, who wouldn’t want that?